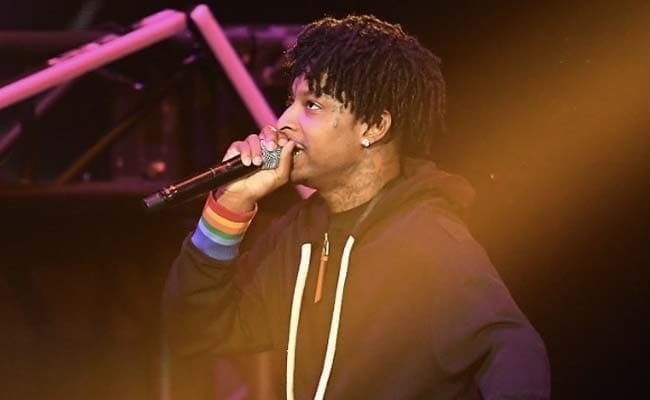 21 Savage was arrested February 3 in the Atlanta by Immigration and Customs Enforcement agents who said he was British and had been living in the United States illegally since overstaying his visa from 2006. 21 Savage was granted a release on bond from US immigration detention. Grammy-nominated rapper 21 Savage was granted release on bond from US immigration detention Tuesday, his lawyers said -- nine days after his arrest sparked outrage among fellow music stars, fans and immigrant rights advocates alike. "Today, 21 Savage was granted a release on bond. He won his freedom," Charles Kuck, Dina LaPolt and Alex Spiro, representing 21 Savage, said in a statement. Kuck confirmed the rapper will be released Wednesday. 21 Savage, whose real name is She'yaa Bin Abraham-Joseph, was arrested February 3 in the southern city of Atlanta by Immigration and Customs Enforcement (ICE) agents who said he was British and had been living in the United States illegally since overstaying his visa from 2006. His legal team did not immediately clarify what comes next in the case of the 26-year-old rapper, whose chart-topping latest album "I Am > I Was" was released in December. Previously, they acknowledged that he was British, brought to the US aged seven, and lost his legal status in the US when he was a child "through no fault of his own." They also said he has a pending application for a U visa -- for victims of crimes who have faced mental or physical abuse in the US -- that was filed "as a result of being the victim of a deadly shooting in 2013" -- and that his three US citizen children make him eligible for deportation relief. On Tuesday, 21 Savage's lawyers also passed on a message to the young rapper's fans, saying that while he was not at Sunday's Grammys Awards -- "he was there in spirit and is grateful for the support from around the world." Rapper Post Malone performed hit track "Rockstar," which features 21 Savage, alone at the show in Los Angeles. The song won the pair two Grammy nominations. A petition demanding 21 Savage's release was signed by more than 460,000 people -- with Kendrick Lamar, Jay-Z and Democratic Congresswoman Alexandria Ocasio-Cortez among those backing the campaign for his freedom.